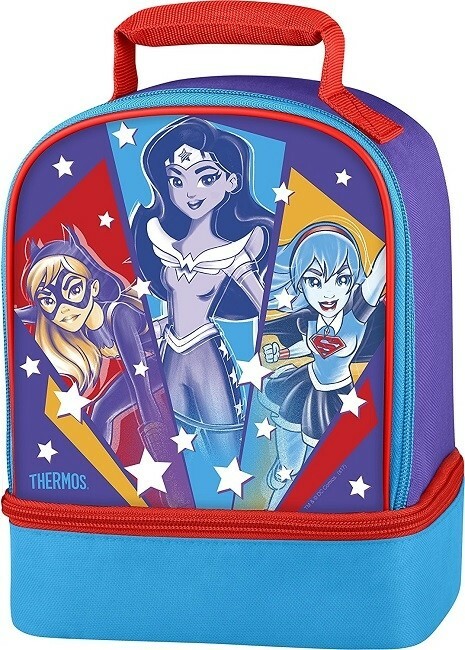 Fuel her up for a heroic day with this THERMOS brand DC Super Hero Girls lunch kit! 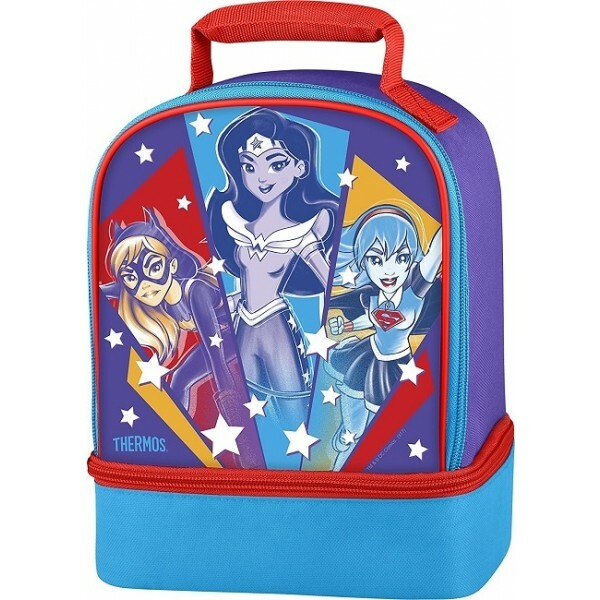 This lunch kit features two separate compartments and a comfortable carrying handle. It's 100% PVC free with PEVA lining, so it's easy to clean, and features superior foam insulation to ensure that food stays at the right temperature. For more great backpacks, check out our Bags / Packs Collection.